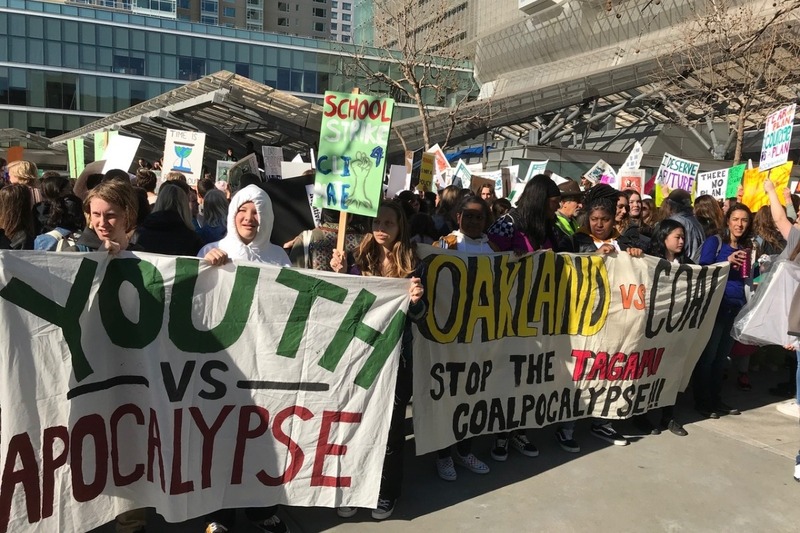 We are Youth vs Apocalypse, a non profit youth led climate activism organization of diverse youth around the Bay Area. 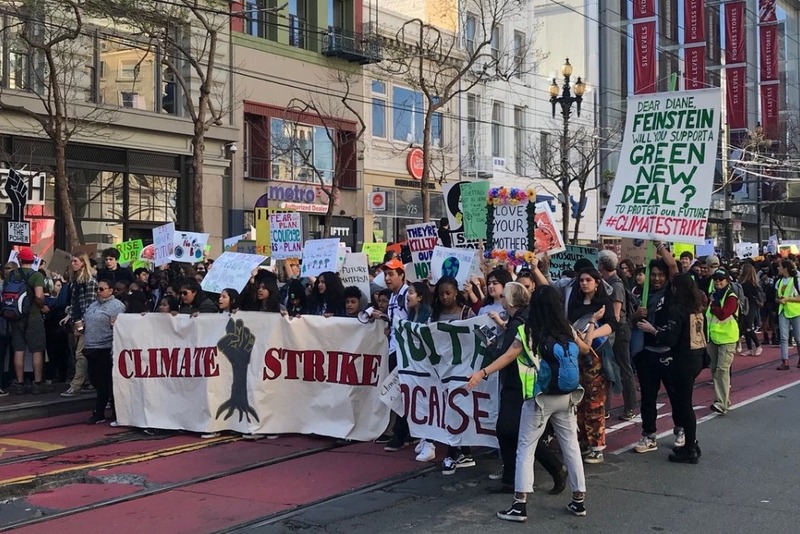 On March 15, many countries and states across the world, including San Francisco, California: youth will be school striking, demanding adequate change and urgent climate action. For a number of years our elected officials have known about the crisis of climate change. For over 30 years, experts have warned countries of rapidly increasing of climate change. Yet carbon emissions continue to rise each year. We have witnessed the hottest years recorded. We have witnessed changes in weather patterns. We have witnessed extinction of wild animals, contaminated water, wildfires, people who lose their homes , people who lost their lives, the damages of polluted air and more. This is why #WeWantTheRealDeal, the #GreenNewDeal, this is why we need your help. We need these funds for expenses like public transportation to get to our strike locations, for sound equipment so our voices are loud and clear, to make signs/posters so that everyone around us can see what we are striking for and healthy food for our youth participating on the strike. The excess money that we don’t end up utilizing for the strike: we will use for other Youth vs Apocalypse events. Thank you, we extremely appreciate your support. 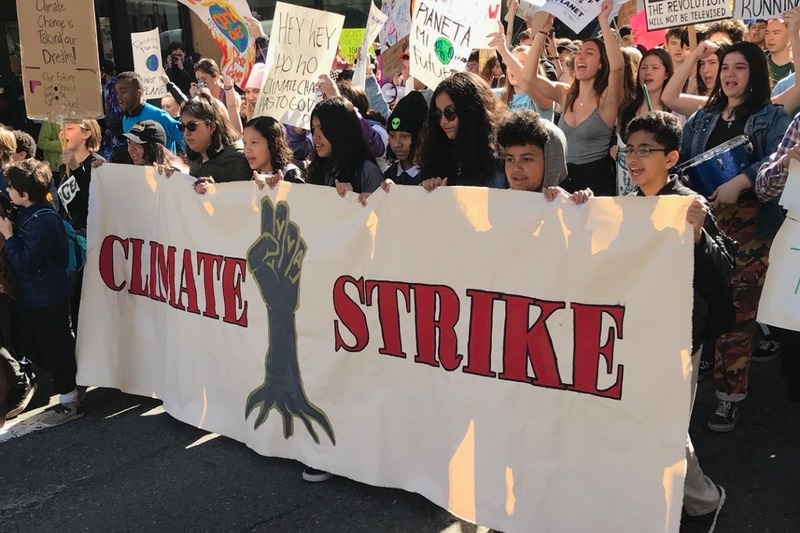 Here is a short video of the climate strike . 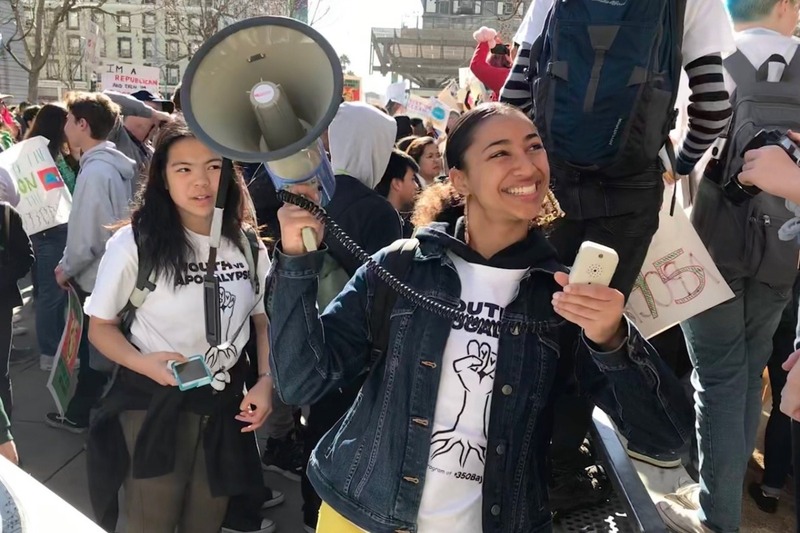 On March 15, youth from around the Bay Area marched on the streets of San Francisco. Joining millions of young people around the world, who know the impact that climate change has on them. Together, we demanded to be listened to, for the people in power to care about our futures and politicians to enact urgent climate action. 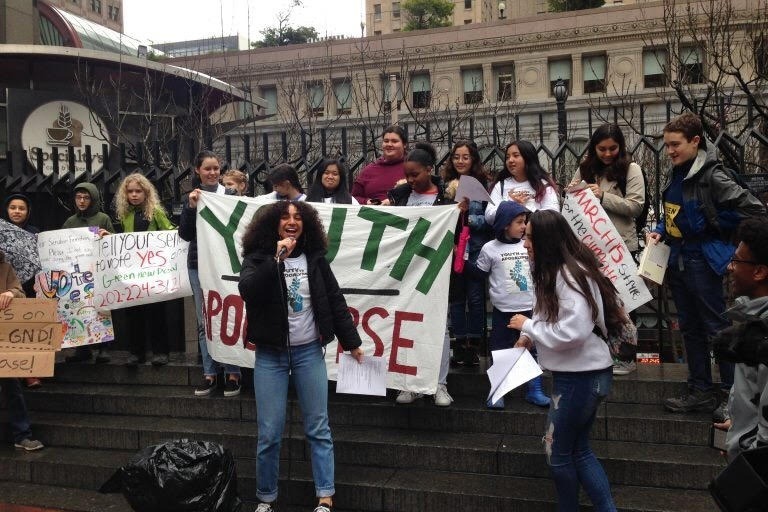 The event in San Francisco had over 2,000 youth who attended, and together we were stronger. On this day we met our goal but our fight has just begun. We chanted loud and clear so Pelosi Feinstein, and their staff can hear our demands for our right to live. If they were not able to listen to us, they for sure saw a massive group of youth with banners and posters big enough so they can read them. We ended at Union Square where we had more speeches and performances that manifested the climate crisis that we currently live in. Based on the busy planning our YVA team and allies had, we were able to have such a victorious event. 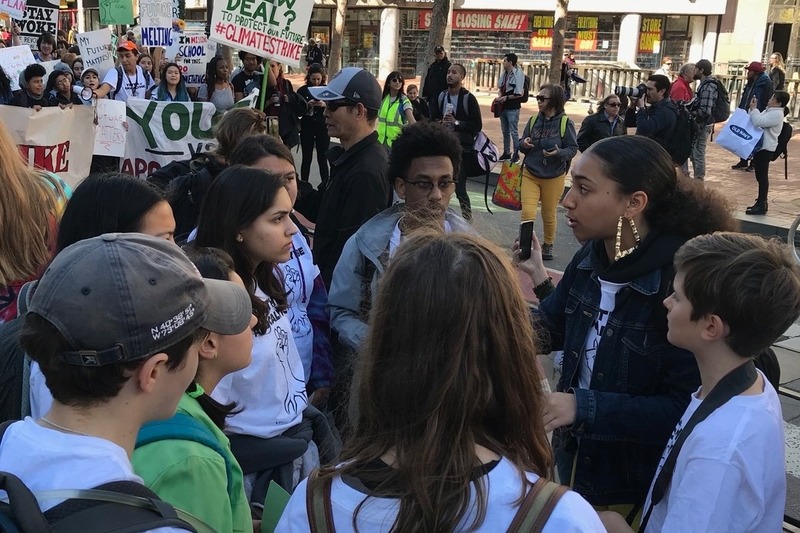 We collaborated in planning with very special groups such as: Warriors for Justice, Jewish Youth for Community Action, Sunrise, Future Coalition, Democratic Socialists of America, 350.org, and 350 Bay Area. We would also like to acknowledge supporting schools: Urban Promise Academy, Melrose Leadership Academy, Skyline Green Academy, and Oakland SOL. Thanks to the support that groups and individuals have given us; we were able to create a day that we will remember for the rest of our lives. Thank you all so much for contributing to make this even happen. We have spent $8936.28 of our funds on busses, lunches for kids that get free lunch normally at their school, T-shirts, banners, supplies, equipment, space rental tp prep, snacks, Bart and train tickets who couldn’t afford them and more. Anything left we will use for our next strike or other needs for YVA. We strongly appreciate all contributions that we have received to make this strike happen. Once again thank you all for caring and supporting us youth on our journey to create a livable future for ourselves and generations to come. We now have raised our goal to $10,000, this is because there is a large number of students who would love to join us but don’t have access to transportation to get to the strike. We would like to provide school busses, Caltrain and Bart tickets, which students can take to San Francisco and back to their towns and cities. We strongly believe that we can help make a difference and help prevent major catastrophes that will come along the lines if our government does not act now. 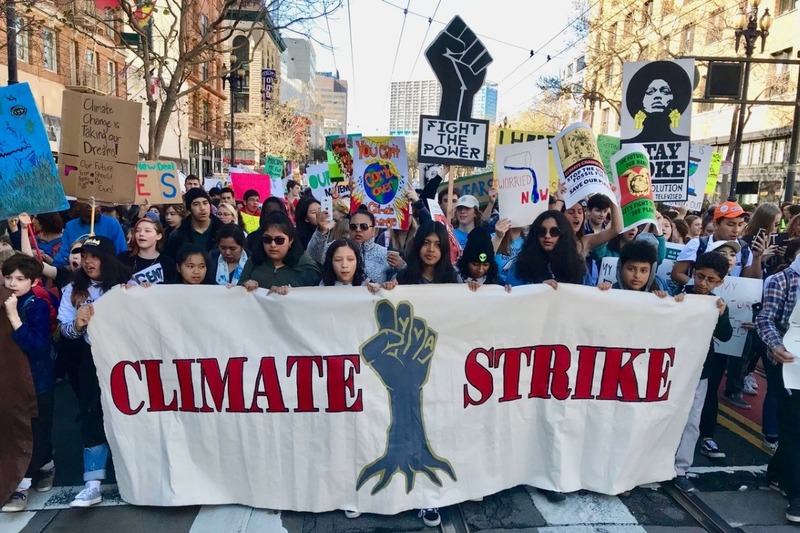 We are grateful for all the individuals/groups who have donated for our #strike4climate event and have shared our campaign with their colleagues, family, friends and social medias. Thank you for being an ally to the generation the will inherit this planet! !